Whether you call it living off your passion, living your dreams, or simply working your mission, it’s no secret that if you really want to be successful in life, you’re going to have to do what satisfies you. Those that find that satisfaction in a traditional job (where they’re working for someone else) are increasingly becoming the minority. A Forbes article in 2014 showed 52.3% of Americans are unhappy at work. Sure, we’ve been climbing back up since 2010 – but when you look at the entire picture, we’ve been on a slide since 1987. This said, it’s simple to understand why more and more people are opting to work for themselves. It’s the one way we can control our day to day working lives. However, there are certain questions that come up time and time again when starting on this path. In this guide, I’ll be looking at some of the most common concerns folks have when starting out with their first business and everything you need to get over those humps yourself. Chapter 1: Passion is Optional – But it Helps! There are two people that many people think of when the term passion is discussed. On one side, you have Gary Vaynerchuk, who says that if you want to stick with a business through the thick and thin, then it helps to have found your passion before you get started. On the other hand, Mike Rowe of Dirty Jobs fame says that many of the folks that he’s talked to over the years have found out that they’re good at doing a certain job. After doing that the job for awhile, the passion follows. For me, I’ve come to the conclusion that passion is nice to have. BUT – it’s not everything. What is everything is an idea that David Anderson shared in his TEDx talk. He says that we need to have a mission in our life. Figuring out what this mission is for ourselves is truly how we’re going to succeed in whatever we do; we’ll make our career decisions based on that mission. Now, to to find that mission you’ll have to put some time in and try some things out and see if you like them. You can’t just say “Oh, hey, yeah – I like to do <insert cool thing here>. You’ll really have no idea. It’s important to go take dumb action, or what I like to call it, perform self-experimentation. You need see what you like to do, and then mold your mission around what you’ve learned from that action. That’s really what you should be doing in the first 20+ years of your life: testing the waters. I believe that’s why many kids who have guided their own homeschooling properly are set up for success. They get to figure out what they like to do as opposed to formal education telling them. I found a great guide to help you find your passion/mission. It’s over at Live Your Legend. Back in 2012, Scott Dinsmore (RIP, buddy) wrote about The 3 Simple (& Absolutely Required) Steps to Doing Work You Love: Live Your Legend’s Passionate Work Framework. This was one of many tools that I’ve used to find my own mission. Chapter 2: How to Start a Business without a Degree? They say that experience is the best teacher. So I make it a point to pay attention to people who have results that I want. I’ve been doing this since college because I learned back then that there are definitely folks who teach things that they have no experience at. There were professors who taught business, even though they had never left academia. It was pure speculation or hearsay that’d they use to power their courses. Likewise, in the rest of the world, there are people who never graduated college who are some of the best business teachers. Recently I’ve been learning more about Russell Brunson and his Clickfunnels empire. In his new book, Expert Secrets, he wrote about how even he had the imposter syndrome early on. But now, 10 years later, he’s considered by many to be one of the big experts in online business! Unless you’re going to start working with something that is highly specialized and regulated, then yes, you probably should get training before hand to do it. This would include some doctors, lawyers, dentists, construction, trainers, engineers, etc. While not all of these require the same amount of education, they all should know what they’re doing before they get started. As a Creative, it’s important to practice Just-In-Time Learning. Now, if you’re starting a business on something that doesn’t require previous education to get rolling, then you have the ability to be only one step ahead of the people you’re trying to serve. In fact, when you’re getting going, that’s probably as far as you want to be. Because if you have much more, you might overload your brain with information you might not be ready for. The way to do be only one step ahead of the folks you’re trying to serve is called Just in Time Learning. Note: You can also apply this method of learning to anything in life, not just what you’re helping clients with. If you’re looking to build a new skill, then practice it then. If you’re learning how to be more social – that’s a great time as well. Note: If you’re interested in learning things quicker, then you should check out Jim Kwik. His most recent interview I heard of his was with Jordan Harbinger. But he’s also been on the School of Greatness and other podcasts. If you like what you hear there, check out his show here. Chapter 3: Is a Business Plan Needed? When I was still studying at Purdue’s Burton Morgan Center, one of the things that came up again and again were business plans. In fact, it became so popular that there were business plan competitions. I’m sure there still are. Truth be told, unless you’re partnering up with some folks, whether as co-founders, investors, or key clients, then you’re not going to need a traditional business plan. However, what you’ll need to do is make sure you have focus and clarity in what you’re actually helping people do. A resource I wanted to share with you guys is something our friends over at Fizzle put together. It’s called the Business Sketch Template. Also, for the times when you need to express what you’re doing in a summary format, you can use the Business Mission Formula. So that they can live a lifestyle they’re truly proud of. Not only do you get a simple mission, but you also get an elevator pitch that you can share with others about what you actually do. One more thing that I want to share with you guys from Fizzle is this awesome post where they shared 10 Steps to Start a Business. It’s a good follow up piece that I think you need to consider when starting your business. There is no right time. Period. Ok, so those of you who know me, might realize that this is something that I struggled with for years. It never seemed like it was the right time until… it wasn’t. I finally started working on New Inceptions full time when I decided to leave my post at AMS as a day to day content director. Now in my second year of development, I’m almost 100 episodes into the AoL Podcast and have just as many (plus a few more) blog posts. I feel that I’m finally in the creative groove – that I’m no longer experimenting. In fact, there’s been some local opportunities that have started to pop up because of my continual focus. That said, had I moved onto another job right after leaving AMS – or something that took up my creative time (like teaching a ridiculous subject to college kids) – then I wouldn’t be as far as I am. If you’d like more perspective on this topic, Kate Erickson over at EoFire did a great write up of this topic. Chapter 5: It Takes a Lot of Money to Start. Actually, you couldn’t be further from the truth on this one. Some of the wealthiest entrepreneurs I know of started with nothing. Take Dane Maxwell, known for starting The Foundation (TF), for example. The dude practically taught folks how to start businesses for free – it’s just knowing how to do presales and coming up with a really REALLY good idea for a business. Of course getting the training from TF wasn’t cheap – but the knowledge that I got from there is practical to just about any idea out there. There’s a post over at Live Your Legend that I thought would be of benefit to you if you’re struggling with this part as well. 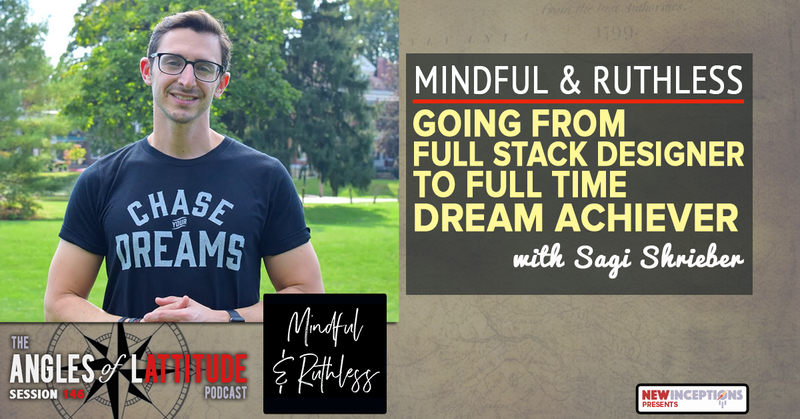 In the post, Leah Hynes and Nazrin Murphie talk about 6 Myths that relate to money being a problem when it comes to living your dreams. There are two beliefs which are very predominant in the psyche of new entrepreneurs. Either they feel they need to hire a staff right away to do what they’re doing or they feel that they have to do everything. Here’s the thing. While you can, you don’t have to raise big money to get that business off the ground. If you’re just starting out, you can just start out with a bootstrap business – which might be just yourself. If this is the route you choose, then you really need to start knowing yourself well. Who you are and what you’re capable of. If you can make an income from providing value on your own, then scaling is going to be much easier. Is that through being a consultant first? Then be a consultant. Perhaps it’s through being a freelancer in some other way? Perhaps it’s through being a teacher, or one of the other 9 archetypes. But find out if your thing, whatever it is, can actually support itself. If not, you can adjust easier as one person than you can as a “startup” with a team of people. From there, that’s when you can start thinking about getting help as you start to scale your services. At first when you do get help, start small. Starting with a VA is probably the best choice you have if you do online work. You might be wondering, how will I know if I need help? If feel there are two ways to know if you need help. If the work that you’re doing over and over is something you could teach a high schooler to do in a week or two, then it might be time to find that high schooler. If the work you’re doing doesn’t lie in your creative arena. Then that might be a sign as well. If you answered yes to either one of these, then it might be time to think about getting some assistance. If for some reason you don’t think that your budget would warrant bringing someone on, even as a VA, that’s ok.
Don’t forget, as someone who is running a lean business, bartering is an option. While it can be somewhat of a headache, it’s totally possible. Or, perhaps there’s a college near you who has some students who might like to get internship experience. Don’t overlook these other opportunities. For years, Pat Flynn would hire random VA’s to help him do some work here and there. But it was pretty sporadic. After repeatedly being told by his friends that he needed to have a more permanent staff, though, he finally took the plunge and started Team Flynn. Today, Pat is one of the biggest proponents of getting help as soon as possible. It has taken his business to the next level. Back in 2016, Gary really started making a big name for himself. His videos were everywhere. In fact, they were so well known that to many in the online entrepreneurial space, that mostly everyone thought that if they weren’t living and breathing their business all the time, then they’re not going anywhere. Here’s the gist, though. If you’re not enjoying the rewards of your work, then you better LOVE the work you’re doing. Even so, there’s a thing called burnout. That’s a place you really don’t want to go – believe me. In Gary’s case, I really believe he gets satisfaction of his 24/5 grind. It’s 24/5 because he doesn’t work on the weekends. In fact, somewhere I heard him say the reason his accounts go dark over the weekend is because that’s when he spends that time with his family. So, there you have it. 7 different concerns that keep people from pulling the trigger all answered. I hope that does a good job of answering them for you. If not, I’d love for you to comment below or shoot me an email. If you don’t have any further questions, let me know which one(s) you had to deal with before you finally decided to get started. P.S. If you want more info about starting your own business and want to get to it right away without wasting time, check out my FREE eBook, the 6 Cornerstones of a Successful Business. Last week we briefly discussed the idea of a sales funnel. They’re essentially used to make a person who has no idea who you are or what you’re about into someone that’s going to buy from you. You’ve probably heard of sales funnels in one way or another. So what I shared with you wasn’t anything new. But, if you’ve been following the blog or the podcast for awhile, you know that I talk about two things when it comes to making a sale in a business. You can use niche product development or niche marketing. Both use sales funnels in their own way. In this week’s post, I’m going to share with you what those phrases mean exactly and when you might want to use one over the other. Both niche marketing and niche product development use avatars to represent the Who. Without having that person in mind, you really have no target in what you’re building your product, service, or even your message for. However, they both approach the How? in a completely different way. If you remember from Simon Sinek’s Golden Circle TED talk, he talked about the Why – How – What when it comes to businesses. I can imagine that if you’ve seen the talk, your focus was really focusing on the Why factor – I mean, that IS the focus of the talk after all! But since a good majority of what we talk about here at New Inceptions is in the Why category, we really don’t need to discuss that right now. We’re actually looking at the How. The How is all about the process of how products are made. A quick look at their definitions will show that their end goal is similar, but the approaches are completely different. This is where you make a product for a specific type of client by helping with their pain points from the very beginning. The more intimate day to day information you actually know about these folks and their pains, the better your product will be able to help them out. If you really do your homework well and build what this niche of folks really needs, you’ll have no problems selling to them – especially if they help you make it. From there you can switch to niche marketing and using sales funnels to increase the number of users or customers you have. With niche marketing, you have a product or service already available. Your job is to simply find potential buyers and convey the benefits of the product to them in a way that makes sense for them to eventually buy. As we found out in the last post, the main thing you need to learn how to do is help a cold lead turn into a hot lead. Learning how to highlight benefits that will be of interest to that one lead is vital to making the sale. What’s interesting is that someone who uses niche product development will also employ niche marketing eventually for the same business and/or product. I mean, there comes a time where you can’t keep changing the product too drastically! Or, they might go the other way. From niche marketing to niche product design. You might have a product that needs another product to explain how to use the first one. It really depends on where they’re at in life and in business. You’ll find out more about that in the next post. Right now we’re just going over definitions. So niche marketing is something that we’re all familiar with. Especially after last week’s post. I mean, that’s the basics of it. When it’s used at it’s worst, we hear about used car salesmen. When it’s used at it’s best, we can think about people who have made a fortune in direct sales or MLM’s. Or, another thought, is that there’s already a market for a product or service and one company copies another company’s efforts. Those situations, where a product or service is already been proven to work, are about the only times when niche marketing can be used effectively. For example, niche marketing is exactly what Brendon Burchard does with Expert’s Academy. However, he uses sales funnels instead of 1 on 1 meetings with potential buyers. When you apply niche marketing to a new product or service – the results can be disastrous. Not only for the new company, but potentially for the end user as well! Again, in niche marketing, your job is to be able to communicate the product or service to the potential buyer. That means being able to express potential benefits and caring if they get the right product for their needs. But let’s say you don’t want to be a car salesman and you don’t want to be involved in an MLM? You have this new idea that you want to get out into the world. But it’s not market tested. Or perhaps you don’t have even an idea yet? That’s fine as well! From what I’ve learned first hand and seen out in the world, niche product development (and properly scaling it) is the best way to not only make sure you don’t fail at your first company, but it’s also the most cost effective method. Since this is something that might be sounding a bit vague at this point, here’s a breakdown of how niche product development usually works. Ask people what they need in a market you’d like to help. If you’re looking to do something with high earning potential, the best choice is a product you can make into a money tree – say a SaaS product or a membership community. Essentially you’re making a tool for a market that they’re “renting” access to. Worst choice is a service – because just like Robert Kiyosaki says, you can only work so many hours a day. Even when you bring on more people, there’s a cap there as well. Bring on help to make the product. You don’t want to be stuck with all the creation efforts. Again, there’s only so many hours in a day for you to work on this thing. It’s not like Trump made all of his buildings by himself. You need to bring on construction workers for your new project. Ideas take money to develop. As much as we’d like them to be, businesses aren’t 100% free to build. Where do you get that money? Investors and early customers are a couple of ideas. Either way you go, you might need to learn how to persuade them to get behind your idea. Get as many people on board to try out your new product in an incomplete state. Get validation and feedback from those folks before you finalize the product. When you do have your product made, it’s time to get that sales funnel going. Again, refer to the last post for the basics. You can apply this method to any type of product based business. Whether it’s information based, physical, or software. Just remember that if they’re having to rent their access from you, that’s when you have the potential to bring in the most income! More users means more dollar bills. So hopefully this finally explains some of the differences of the two main ways to be an entrepreneur. If you want to know more about Niche Product Development, check out Pat Flynn’s Will It Fly book. That book covers pretty much everything you need to know in full. Again, there’s other options out there, such as The Foundation, if you need more accountability. Next week, we’ll talk about some situations in your life where you might opt to use one method versus the other. How does the business idea you have in your head right now fit into your future self, if at all? Products and services we create as entrepreneurs are like elixirs. Entrepreneurs are notorious for “idea churn” – starting something new, only to abandon it for another idea. Sometimes this churn is fast, and sometimes it’s slow, but our goal here is to reduce the chances of churn happening at all. One thing I learned in engineering that goes hand in hand with many of the success books that are out there is this simple phrase “Start with the End in Mind”. Starting a business is no different. You need to have a valid idea of what that looks like. Ask yourself: If I had a successful business, what kind of lifestyle would it afford me? Would you be working it all the time from your computer in your home office (once in awhile on a beach?) or would you be traveling around the country or world, giving speeches? Would you be working one on one with your clients? Or, maybe, just maybe, you’d be in a third world country helping kids and their families build better lives? Pat Flynn has done all of these things at one point in his business. As an architect, he knows what it’s like to think what the end of his project is going to look like. He then works his way backward from that goal and divides his work up into the pieces that need to be done. Same with an engineer. If weren’t trained that way, many things that we take for granted today would not exist. In this session, Pat helps us determine what we really want in the future in 4 categories that he helps us choose. By creating a chronological roadmap of your past work experience, you’ll be able to discover some very interesting patterns about who you are and what works best for you. I personally think this goes without saying. If you want be a recognized thought leader, car mechanic, or even a landscape architect, you’re going to need to love doing it. Doesn’t matter whether or not you are an entrepreneur or not – Everyone needs to figure out what kind of work they like to do. When I first rebooted New Inceptions a year ago, I wasn’t quite sure what I wanted to focus on. I simply wanted to help millennials get better at life. However, as time moved on, I realized what part of life and what kind of life I wanted to help, not only millennials, but all kinds of people with – doing work that matters to do them that gives them a lifestyle that they want. Most often than not, this is usually working for yourself. Only through your own business can you get the best things from life, and frankly, I ask – why limit yourself to a job when you might have so much more potential than that? In this section of the book, Pat talks about listing past jobs you’ve had. He helps us list what you like about them, even what you don’t like about them – and give them an overall rating in how well they match you as a person. You’ll be using those experiences to craft a business based on activities you naturally do. It doesn’t matter whether or not you plan on becoming a public face to your company, we have to learn what it is about you that you will bring and incorporate into your future business. This is typically where I tend to start with coaching clients of mine in the past. Pat starts with where you’re going, I start with who you are. Both are equally as important. What do you think is going to be their response? “Where are you?” “I’m on Lost Avenue. Hold on, let me find out.” and you proceed to talk until you navigate to where you need to get to. In business, just like in life, we need to know who we are. What our strengths are, or as Pat puts it, our Superpowers. However, I will say that you should still do this exercise because it’s good to know how others see you and perhaps why they see you that way. I’ve been using mind maps ever since I started my own business. I created one to start my first online product, and then later I started to incorporate mind maps into everything else that I did. Mind maps are essential to doing anything creatively in my book. Whether you use post it notes like Pat does, or use an application (I use MindNode for Mac), they’re very important in getting your idea together for things you want to create. Much better than lists, in my opinion! That said, Pat suggests that you work in two ways when you’re making your mind map. The Creative phase – where you’re just brainstorming related subjects. And then the second phase where you play the editor. The editor collects, adds context, and prunes out extra to get things all sorted out. If you find that others have already done what you’re planning to do, that’s a great thing! Someone else has already done the heavy lifting for you. They’ve taken the time and have spent the money to serve the audience, or attempt to do so, and by following their lead you can determine what’s working and what’s not, and adjust your business accordingly. Very simply idea. If there’s already people doing what you’re going to do, that’s actually a good thing. It means that you’re not having to recreate the wheel and build an audience for it. Remember, being creative isn’t about being original, it’s about doing things in a way that has your uniqueness stamped on it. As you find websites, people, and products that are already in your niche, list them in a spread sheet. In the book, Pat mentions a ton of ways to find resources that might otherwise take several weeks, months, or years to naturally bump into. Yeah, I know it’s not all filled out! If you’re in my niche, let me know. I’ll share it with you and we can work on it together! When you serve you get paid back in return, but only if you give those you serve a way to pay you back in some way, shape, or form. Essentially you want to get to know their pains so well that when you ask them later, they assume that you already have a product. This is typically done through one on one contact with your target clients, as well as through surveys and, if you don’t know how to get in touch with your target customers, you can use paid traffic to get them to surveys. We have a feeling of what kind of problems are out there, but how are the masses describing it? Now it’s time to use Google to search forums and other websites to check for questions that come up again and again. He also uses Google to check related searches to a topic. Ideally going for Questions, Keywords, and Complaints that people have in regards to the problem. After going through P, L, and A – here’s N. Fairly simple step. What has the other 3 parts told you about your target customer? What do they really need? Do they need information updated from older websites? Do they need you to get them specifically what they want from all the material that’s out there on the web? Perhaps they have a specific vehicle that you can tell them if they can fix it on their own or not (yeah, that one is a little too descriptive. But it’s an idea for a mechanic wanting to go online!) It’s up to you to figure out what possible solutions might be. …the products and services we create as entrepreneurs are like elixirs – remedies or cures for certain “diseases” that are plaguing our target market. For each need, you might think of one or a couple of ways to fix that issue. However, you can only focus on one solution at a time. So pick one, sit on it for a day, and think about it. After that day, Pat suggests to make another mind map about that new idea for a solution. Personally, I say, if it fits within your original business idea – that’s great! Your business can be a theme of products. Not a problem there – many businesses have that model. However, you want to start with one main project. …validation is not based on someone telling you they would buy, like, read, consume, watch, or listen to something you create. Validation is based on certain actions they take. Essentially that validation is whether or not they want it so bad that they purchase it before it’s even made. Think Kickstarter. Get in front of an audience. Interact and share your solution. There are a ton of points that I’m skipping here that Pat makes in the book about how to go about actually doing this. He talks about strategies in how to do all of these. Personally I call this a typical launch sequence. So if you’ve been in any webinar, or are going to be in one soon, see if they’re doing these steps. In each of the case studies below, which range between all different kids of businesses across all different markets, you’ll get a breakdown of how each person moved forward during each phase of the process. In this particular section, Pat gives an account of several people in his network (Joey Korenman, Bryan Harris, Jennifer Barcelos, Jarrod Robinson, and Noah Kagan) that went through the validation process. To me, this part right here makes the entire book. However, you have to read the entire book for these to have the effect that they should when you get here. As we close out my first book summary, I want to say thank you for checking it out. I hope it helps you in a little way in getting your business started. If you’d like to know more, of course order the book (Amazon link). However, you should order the book just so you have a “quick” reference in what you should be doing next if you are already an entrepreneur. Also, if you’d like me to do future summaries of other books in the future, let me know in the comments below. I did this one partly because I was part of Pat’s launch team and never fully did a “review”. I hope that this provides more value than what I’ve seen around the web constitute as “a review”. That said, I’d love to do more “summaries” if you’d like of other books and products if you’d think that would add some value. Also, on a side note – I’m actually very proud of Pat for writing this. You can tell he put a ton of work into it. I think it will continue to get his name out there for years to come. Not only that, but it will validate what many of us new solopreneurs have to put up on a regular basis. Thanks, Pat, for leading the way! Go buy the book. It’s right up there with Rich Dad, Poor Dad. You can get it for free with Audible as a audio version if you need to! In my last podcast session with Matt Bernstein, one of the nuggets of information he dropped (among MANY) was that he first heard of passive income from the same book I did, Robert Kiyosaki’s “Rich Dad, Poor Dad”. The main difference was that he read it when he was young and I read it when I was starting college. I was already heading towards getting my first degree when I read the book in 2002. My workload as an engineering student was pretty massive, but I’ve been in the search of ways for it to work ever since then. Why wouldn’t I be? To me, it’s the answer of old adage ‘What? Do you think that money grows on trees?’. Passive income should really be called “organic earnings”. Not because they’re earnings picked from a tree, mind you, but because they are earnings that are based on how well we set ourselves up to sell something automatically. We simply have to let either word of mouth and/or online business nature take it’s course. It doesn’t matter if we personally do an additional hour of work, we’re not going to be paid any more for that one hour directly. Indirectly, however, we might get paid over and over again. What I’ve found through 13 years of investigation and research, are a few things I really want to share with you guys today. Working on developing passive income opens up the potential for a whole new lifestyle that most would only dream of living. As they say in LTD, eventually you can have 6 Saturdays and a Sunday every week if you work on your business like a business and not a hobby. If you want to travel somewhere – you could, with no reservations (no pun intended). Get up, buy a ticket, and go without packing. Get some clothes when you get there! If you have some work to do, you can simply do it from the internet. All you would need is your laptop (or just an internet cafe), and your online business could still be up and running. This is exactly what Cam (from session 8) and Ginger (from session 20) do on their travels. If travel to travel isn’t your thing, then you have other options. Perhaps you simply want to be at the gym or out on the golf range at any time you want. Or maybe, you just want the opportunity to go to any sports games you’d want. If you’re big into entertainment, you can potentially create a man cave for a king! Or, if you’re like my wife, Maria, you could work somewhere you love that maybe doesn’t pay you a supporting wage (or you could even volunteer), and your passive income could pick up the slack. It really depends on you and your ambitions! If you can Share it Online, it can be a Source of Passive Income. Any business that you do online can help you create passive income. At AMS, one of the things I struggled to do was figure out how to create passive income for the company. While we were mainly online, our events were TOTALLY not. All registrations were online, true, but our registrants had to actually come to our events. So, just like a brick and mortar store, our ability to provide value to people was based on our geographical location. In 2016, however, we have started implementing Virtual Races. In the first race we had being virtual as an option, we had 93 registrants from all over the US. While many might wonder, “What’s the point of doing a race if you’re not at the actual location of the event?” in 2016, we should realize that many people run for the gear they get from the event. It’s their proof that they did the event. Virtual Races are considered passive income sources because all you have to do is make the event and you can theoretically sell as many entries as possible. Likewise, one of our upcoming guests, David Picciuto, is what many of us would consider a Maker. When we think of a Maker, we typically think physical products that are limited and typically sold in a geographical region. Typically, you’d be right. However, this doesn’t necessarily have to be the case either. In fact, in our upcoming chat, we’ll explore how his site, makesomething.tv, where he shares with others how they can build things he’s built… and other topics related to doing what he’s done. However, let’s be clear that true passive income isn’t for free. In fact, earning a passive income simply isn’t a “get rich quick” idea. It takes some time, a bit of research and probably a little bit of luck too (although I like to say you can create your own luck), in order to get to a point where you’re comfortable saying you have a successful passive income creating business. Are you really serious about getting started on your path to developing passive income for yourself? If so, then you ought to think about what type of business you want and get on starting to make it. Not only that, but why? Be side income on the side of your day job? Be able to quit a job that you dislike? Work On a project that you’re passionate about? This is part of what you should consider. There are multiple resources around the web that I spoke of in this post. However, stay tuned for our very own resource that will combine the best thoughts of all these resources (and others) coming soon! Comments are welcome below and check out Bob Ross’ site if you haven’t yet or not sure who he was. He was a great inspiration to my creativity as a kid!